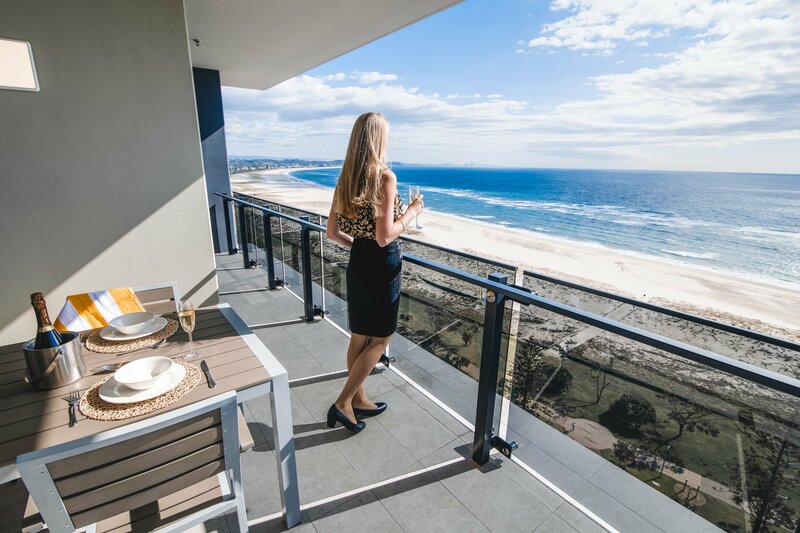 Iconic Kirra Beach Resort is nestled on the pristine shoreline and immersed in the vibrant culture of the Southern Gold Coast. Our apartments offer guests undeniably understated coastal luxury. 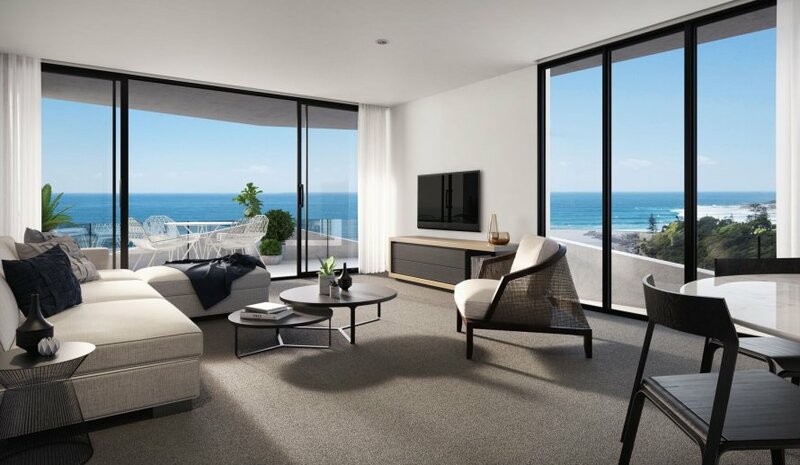 Each architecturally designed apartment celebrates clean lines, impeccable finishes and open space to maximise the abundant ocean views from all apartment balconies. Our iconic views have been worth the wait! Our Hotel Studio is perfect for that quick getaway. The studio features a King Bed, ensuite, small sitting area, mini refrigerator, tea and coffee making facilities and a balcony with hinterland views. 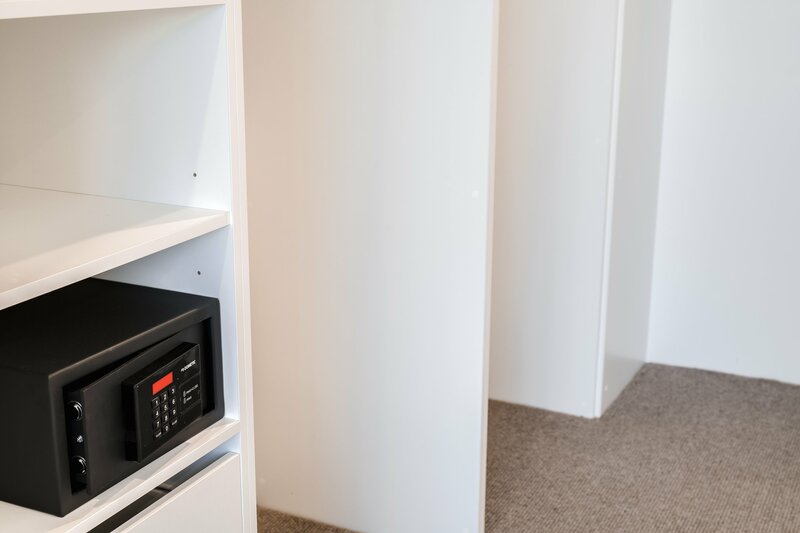 Our studios are perfect for the business traveller looking for a modern and comfortable room close to the airport! 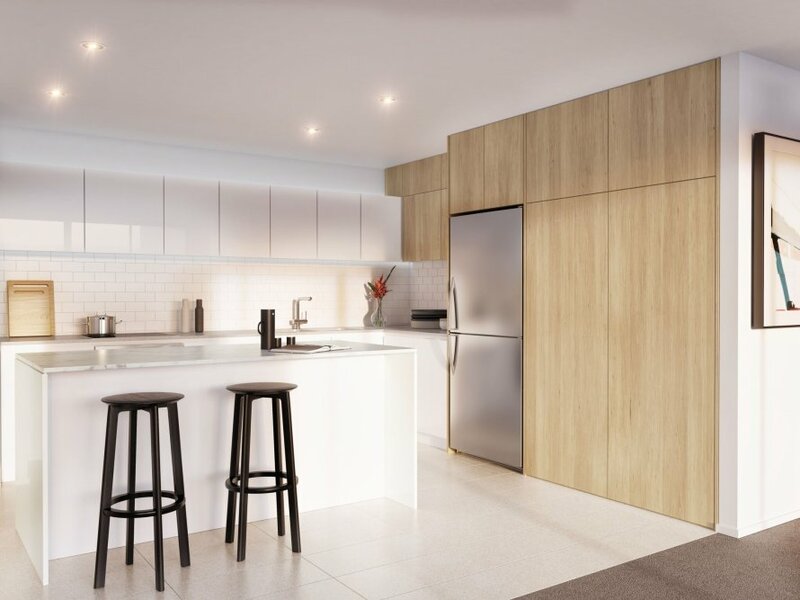 Need a quick break These delightfully modern one bedroom apartments are fully self contained and feature uninterrupted coastal and ocean views. Each apartment offers one bedroom, one bathroom, air conditioning, fully equipped kitchen & laundry. Enjoy a luxurious King Bed. Twin beds are available (must advise at time of booking). These apartments offer superb ocean views from the kitchen, living area and balcony. Need a quick break These apartments are breathtaking and located at the front of the Building. With a guaranteed high view! Our delightfully modern one bedroom apartments are fully self contained and feature uninterrupted coastal and ocean views. Each apartment offers one bedroom, one bathroom, air conditioning, fully equipped kitchen & laundry. Enjoy a luxurious King Bed. Twin beds are available (must advise at time of booking). These apartments offer superb ocean views from the kitchen, living area and balcony. Need a quick break These delightfully modern one bedroom apartments are fully self contained and feature coastal and ocean views. Each apartment offers one bedroom, one bathroom, air conditioning, fully equipped kitchen & laundry. Enjoy a luxurious King Bed. Twin beds are available (must advise at time of booking). Relax and soak in the ocean view from your balcony. 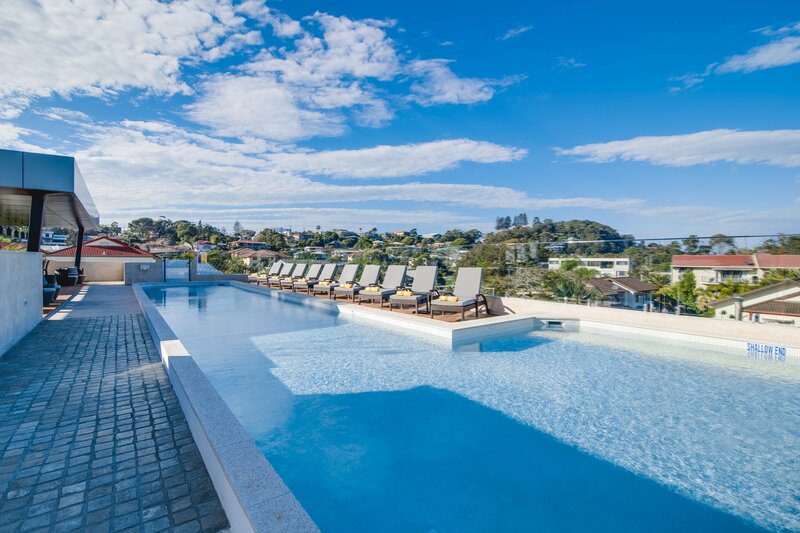 Need a quick break with a guaranteed high view These delightfully modern one bedroom apartments are fully self contained and feature coastal and ocean views. Each apartment offers one bedroom, one bathroom, air conditioning, fully equipped kitchen & laundry. Enjoy a luxurious King Bed. Twin beds are available (must advise at time of booking). Relax and soak in the ocean view from your balcony. Step into luxury with our stunning modern two bedroom ocean front apartments. These apartments are fully self contained with modern furnishings and feature uninterrupted coastal and ocean views. Each apartment offers two bedrooms, two bathrooms, air conditioning, fully equipped kitchen & laundry. Enjoy a luxurious King Bed (twin beds are available, please advise at time of booking), with twin beds in the second bedroom. Soak up the stunning ocean views from the kitchen, living area and private balcony. Step into luxury with a guaranteed high ocean view combined with our stunning modern two bedroom ocean front apartments at the front of the building. These apartments are fully self contained with modern furnishings and feature uninterrupted coastal and ocean views. Each apartment offers two bedrooms, two bathrooms, air conditioning, fully equipped kitchen & laundry. Enjoy a luxurious King Bed (twin beds are available, please advise at time of booking), with twin beds in the second bedroom. Soak up the stunning ocean views from the kitchen, living area and private balcony. 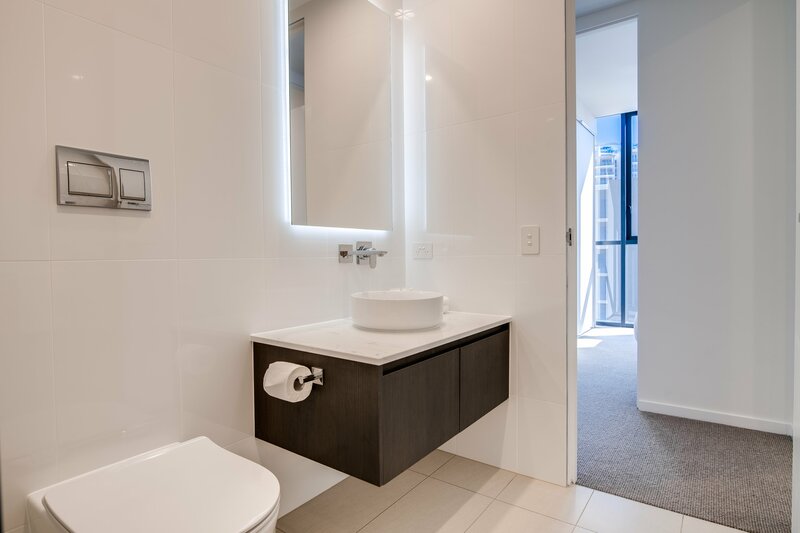 Step into luxury with our modern two bedroom ocean view apartments. These apartments are fully self contained with modern furnishings and feature ocean views. Each apartment offers two bedrooms, two bathrooms, air conditioning, fully equipped kitchen & laundry. Enjoy a luxurious King Bed , with twin beds in the second bedroom (can be made into a king but must advise in advance). Enjoy a glass of wine on your balcony while soaking up the view. Experience the luxury of our brand new apartments combined with a guaranteed high ocean view. Our modern two bedroom ocean view apartments are the perfect place to getaway. These apartments are fully self contained with modern furnishings and feature ocean views. Each apartment offers two bedrooms, two bathrooms, air conditioning, fully equipped kitchen & laundry. Enjoy a luxurious King Bed (twin beds are available, please advise at time of booking), with twin beds in the second bedroom. Enjoy a glass of wine on your balcony while soaking up the view. Experience the ultimate family escape. Our modern three bedroom ocean view apartments have everything you need for your family getaway. These apartments are fully self contained with modern furnishings and feature uninterrupted coastal and ocean views. Each apartment offers three bedrooms, two bathrooms, air conditioning, fully equipped kitchen & laundry. Enjoy luxurious King Beds in the master and second bedroom (twin beds are available, please advise at time of booking), with twin beds in the third bedroom. Soak up the stunning ocean views with your family or friends from the kitchen, living area and private balcony. Want to guarantee that you have a high ocean front apartment This is the perfect choice for your family! Our modern three bedroom ocean view apartments have everything you need for your family getaway. These apartments are fully self contained with modern furnishings and feature uninterrupted coastal and ocean views. Each apartment offers three bedrooms, two bathrooms, air conditioning, fully equipped kitchen & laundry. Enjoy luxurious King Beds in the master and second bedroom (twin beds are available, please advise at time of booking), with twin beds in the third bedroom. Soak up the stunning ocean views with your family or friends from the kitchen, living area and private balcony. Our Hotel Studio is perfect for a weekend away. 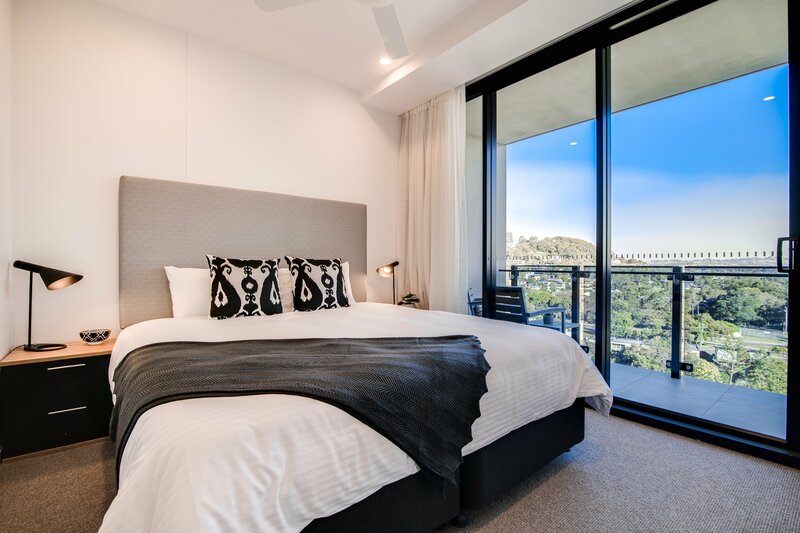 The studio features a King Bed, ensuite, small sitting area, mini refrigerator, tea and coffee making facilities and a balcony with hinterland views. Our studios are perfect for the business traveller looking for a modern and comfortable room close to restaurants, cafes & the airport! These delightfully modern one bedroom apartments are fully self contained and feature uninterrupted coastal and ocean views. Each apartment offers one bedroom, one bathroom, air conditioning, fully equipped kitchen & laundry. Enjoy a luxurious King Bed. Twin beds are available (must advise at time of booking). These apartments offer superb ocean views from the kitchen, living area and balcony. These apartments are breathtaking and located at the front of the Building. With a guaranteed high view! Our delightfully modern one bedroom apartments are fully self contained and feature uninterrupted coastal and ocean views. Each apartment offers one bedroom, one bathroom, air conditioning, fully equipped kitchen & laundry. Enjoy a luxurious King Bed. Twin beds are available (must advise at time of booking). These apartments offer superb ocean views from the kitchen, living area and balcony. These delightfully modern one bedroom apartments are fully self contained and feature coastal and ocean views. Each apartment offers one bedroom, one bathroom, air conditioning, fully equipped kitchen & laundry. Enjoy a luxurious King Bed. Twin beds are available (must advise at time of booking). Relax and soak in the ocean view from your balcony. Want a guaranteed high floor These delightfully modern one bedroom apartments are fully self contained and feature coastal and ocean views. Each apartment offers one bedroom, one bathroom, air conditioning, fully equipped kitchen & laundry. Enjoy a luxurious King Bed. Twin beds are available (must advise at time of booking). Relax and soak in the ocean view from your balcony. Our modern two bedroom ocean front apartments are simply divine. These apartments are fully self contained with modern furnishings and feature uninterrupted coastal and ocean views. Each apartment offers two bedrooms, two bathrooms, air conditioning, fully equipped kitchen & laundry. Enjoy a luxurious King Bed (twin beds are available, please advise at time of booking), with twin beds in the second bedroom. Soak up the stunning ocean views from the kitchen, living area and private balcony. Our guaranteed high ocean view apartments are simply stunning. These two bedroom, two bathroom ocean front apartments are fully self contained with modern furnishings and feature uninterrupted coastal and ocean views from the front of the building. Each apartment offers two bedrooms, two bathrooms, air conditioning, fully equipped kitchen & laundry. Enjoy a luxurious King Bed (twin beds are available, please advise at time of booking), with twin beds in the second bedroom. Soak up the stunning ocean views from the kitchen, living area and private balcony. Our modern two bedroom ocean view apartments are the perfect spot for a quick getaway. These apartments are fully self contained with modern furnishings and feature ocean views. Each apartment offers two bedrooms, two bathrooms, air conditioning, fully equipped kitchen & laundry. Enjoy a luxurious King Bed (twin beds are available, please advise at time of booking), with twin beds in the second bedroom. Enjoy a glass of wine on your balcony while soaking up the gorgeous ocean view. Experience a weekend away in the luxury of our brand new apartments combined with a guaranteed high ocean view. Our modern two bedroom ocean view apartments are the perfect place to getaway. These apartments are fully self contained with modern furnishings and feature ocean views. Each apartment offers two bedrooms, two bathrooms, air conditioning, fully equipped kitchen & laundry. Enjoy a luxurious King Bed (twin beds are available, please advise at time of booking), with twin beds in the second bedroom. Enjoy a glass of wine on your balcony while soaking up the view. 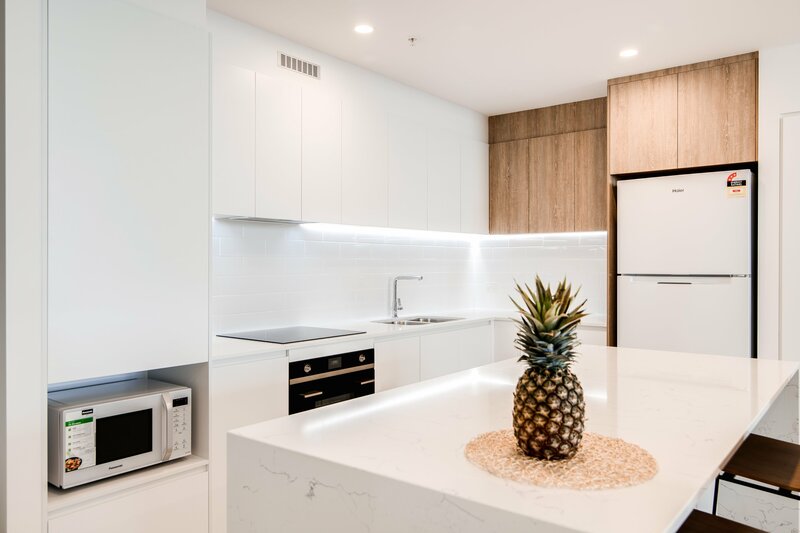 Want a guaranteed high floor with a breakfast for 2 people at Zephyr Coffee This is the perfect choice for those wanting a fully self contained, modern one bedroom apartment with ocean views and breakfast included. 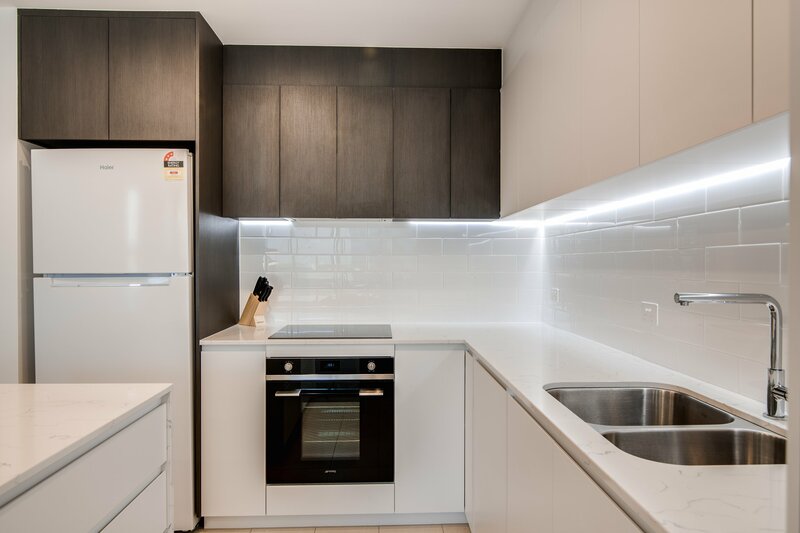 Each stunning apartment offers one bedroom, one bathroom, air conditioning, fully equipped kitchen & laundry. Enjoy a luxurious King Bed. Relax and soak in the ocean view from your balcony. 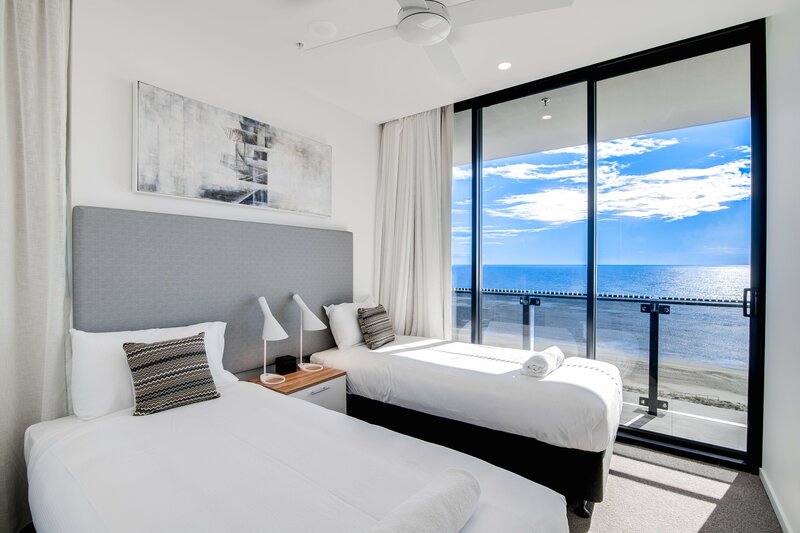 Looking for a place to stay while on the Southern Gold Coast for business The Hotel Studio is the place to stay. Featuring a King Bed, ensuite, small sitting area, mini refrigerator, tea and coffee making facilities and a balcony with hinterland views. Our studios are perfect for the business traveller looking for a modern and comfortable room close to restaurants, cafes & the airport! Are you after a romantic weekend away These apartments are simply breathtaking and offer a guaranteed high ocean view from the front of the building! Our delightfully modern one bedroom apartments are fully self contained and feature uninterrupted coastal and ocean views. Each apartment offers one bedroom, one bathroom, air conditioning, fully equipped kitchen & laundry. Enjoy a luxurious King Bed. Twin beds are available (must advise at time of booking). These apartments offer superb ocean views from the kitchen, living area and balcony. Are you after a romantic weekend away These delightfully modern one bedroom apartments are fully self contained and feature coastal and ocean views. Each apartment offers one bedroom, one bathroom, air conditioning, fully equipped kitchen & laundry. Enjoy a luxurious King Bed. Twin beds are available (must advise at time of booking). Relax and soak in the ocean view from your balcony. 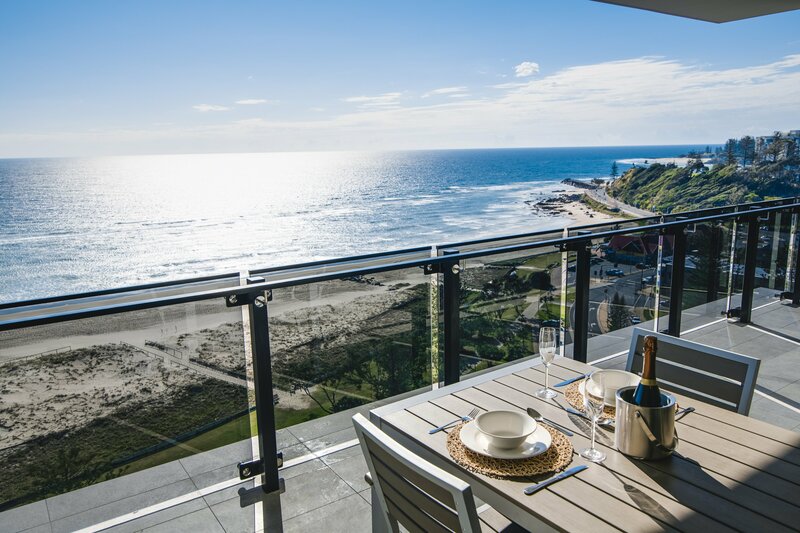 Want a guaranteed high view while enjoying a romantic weekend away These delightfully modern one bedroom apartments are fully self contained and feature coastal and ocean views. Each apartment offers one bedroom, one bathroom, air conditioning, fully equipped kitchen & laundry. Enjoy a luxurious King Bed. Twin beds are available (must advise at time of booking). Relax and soak in the ocean view from your balcony. Do you need a romantic weekend away Our modern two bedroom ocean front apartments are perfect. These apartments are fully self contained with modern furnishings and feature uninterrupted coastal and ocean views. Each apartment offers two bedrooms, two bathrooms, air conditioning, fully equipped kitchen & laundry. Enjoy a luxurious King Bed (twin beds are available, please advise at time of booking), with twin beds in the second bedroom. Soak up the stunning ocean views from the kitchen, living area and private balcony. Need a romantic getaway combined with a guaranteed high ocean view These two bedroom, two bathroom ocean front apartments are fully self contained with modern furnishings and feature uninterrupted coastal and ocean views from the front of the building. Each apartment offers two bedrooms, two bathrooms, air conditioning, fully equipped kitchen & laundry. Enjoy a luxurious King Bed (twin beds are available, please advise at time of booking), with twin beds in the second bedroom. Soak up the stunning ocean views from the kitchen, living area and private balcony. 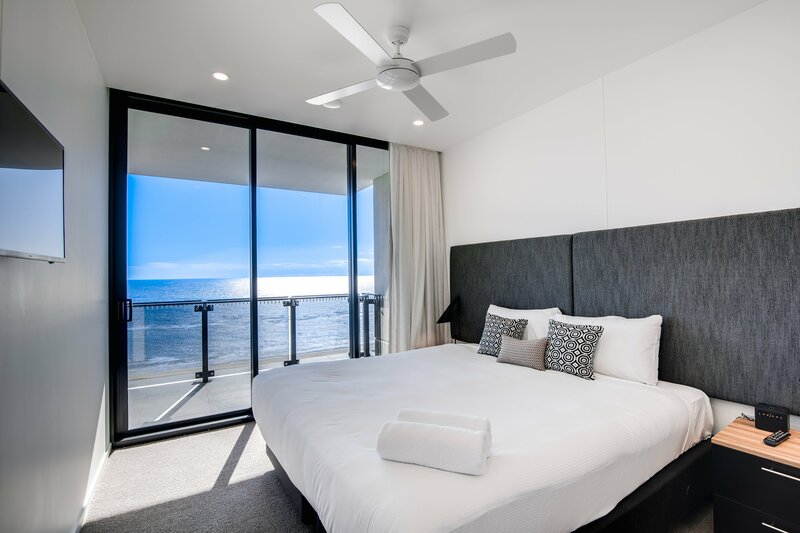 Do you need a romantic weekend away Our modern two bedroom ocean view apartments are the perfect spot for a quick getaway. These apartments are fully self contained with modern furnishings and feature ocean views. Each apartment offers two bedrooms, two bathrooms, air conditioning, fully equipped kitchen & laundry. Enjoy a luxurious King Bed (twin beds are available, please advise at time of booking), with twin beds in the second bedroom. Enjoy a glass of wine on your balcony while soaking up the gorgeous ocean view. Craving a luxury escape Our brand new apartments combined with a guaranteed high ocean view are the perfect choice for your next vacation. Our modern two bedroom ocean view apartments are the perfect place to getaway. These apartments are fully self contained with modern furnishings and feature ocean views. Each apartment offers two bedrooms, two bathrooms, air conditioning, fully equipped kitchen & laundry. Enjoy a luxurious King Bed, with twin beds in the second bedroom (king bed available, please advise at time of booking) . Enjoy a glass of wine on your balcony while soaking up the view. Are you after a romantic weekend away These delightfully modern one bedroom apartments are fully self contained and feature uninterrupted coastal and ocean views. Each apartment offers one bedroom, one bathroom, air conditioning, fully equipped kitchen & laundry. Enjoy a luxurious King Bed. Twin beds are available (must advise at time of booking). These apartments offer superb ocean views from the kitchen, living area and balcony. Take a well deserved break! These apartments are simply breathtaking and offer a guaranteed high ocean view from the front of the building! Our delightfully modern one bedroom apartments are fully self contained and feature uninterrupted coastal and ocean views. Each apartment offers one bedroom, one bathroom, air conditioning, fully equipped kitchen & laundry. Enjoy a luxurious King Bed. Twin beds are available (must advise at time of booking). These apartments offer superb ocean views from the kitchen, living area and balcony. 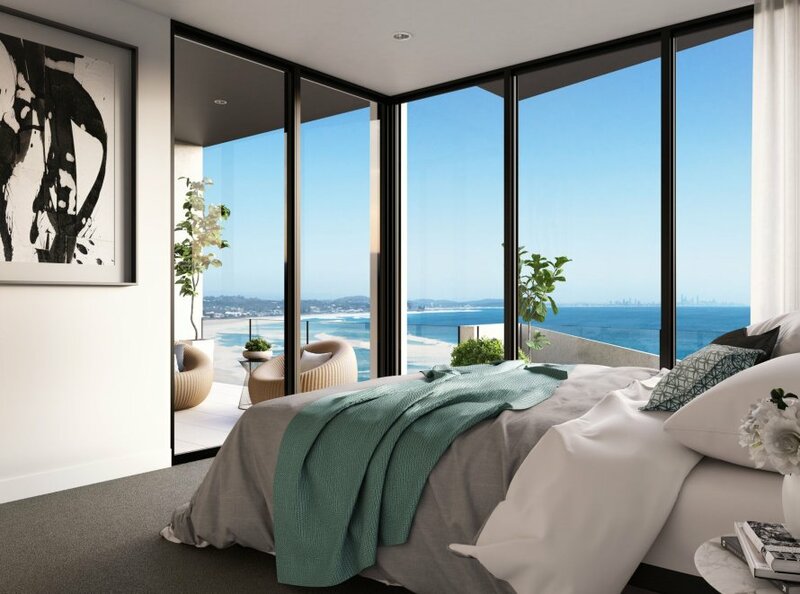 Need a break with a guaranteed high view These delightfully modern one bedroom apartments are fully self contained and feature coastal and ocean views. Each apartment offers one bedroom, one bathroom, air conditioning, fully equipped kitchen & laundry. Enjoy a luxurious King Bed. Twin beds are available (must advise at time of booking). Relax and soak in the ocean view from your balcony. Want to guarantee a high ocean view for your holiday These two bedroom, two bathroom ocean front apartments are fully self contained with modern furnishings and feature uninterrupted coastal and ocean views at the front of the building. Each apartment offers two bedrooms, two bathrooms, air conditioning, fully equipped kitchen & laundry. Enjoy a luxurious King Bed (twin beds are available, please advise at time of booking), with twin beds in the second bedroom. 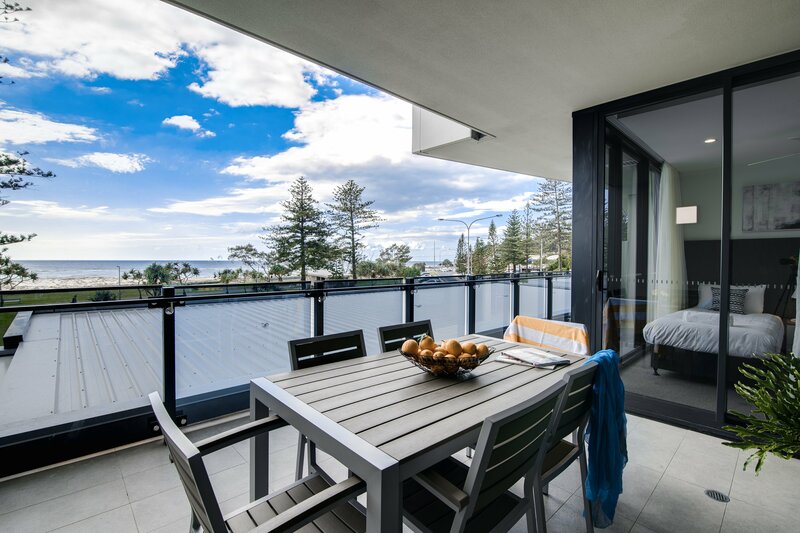 Soak up the stunning ocean views from the kitchen, living area and private balcony. Craving an escape from the everyday Our brand new luxury apartments combined with a guaranteed high ocean view are the perfect choice for your next vacation. Our modern two bedroom ocean view apartments are the perfect place to getaway. These apartments are fully self contained with modern furnishings and feature ocean views. Each apartment offers two bedrooms, two bathrooms, air conditioning, fully equipped kitchen & laundry. Enjoy a luxurious King Bed (twin beds are available, please advise at time of booking), with twin beds in the second bedroom. Enjoy a glass of wine on your balcony while soaking up the view. Need a beach escape for the whole family Our modern three bedroom ocean view apartments have everything you need for your family getaway. These apartments are fully self contained with modern furnishings and feature uninterrupted coastal and ocean views. Each apartment offers three bedrooms, two bathrooms, air conditioning, fully equipped kitchen & laundry. Enjoy luxurious King Beds in the master and second bedroom (twin beds are available, please advise at time of booking), with twin beds in the third bedroom. Soak up the stunning ocean views with your family or friends from the kitchen, living area and private balcony. Ready for a relaxing break and want to guarantee that you have a high ocean front apartment This is the perfect choice for your family! Our modern three bedroom ocean view apartments have everything you need for your family getaway. These apartments are fully self contained with modern furnishings and feature uninterrupted coastal and ocean views. Each apartment offers three bedrooms, two bathrooms, air conditioning, fully equipped kitchen & laundry. Enjoy luxurious King Beds in the master and second bedroom (twin beds are available, please advise at time of booking), with twin beds in the third bedroom. Soak up the stunning ocean views with your family or friends from the kitchen, living area and private balcony. 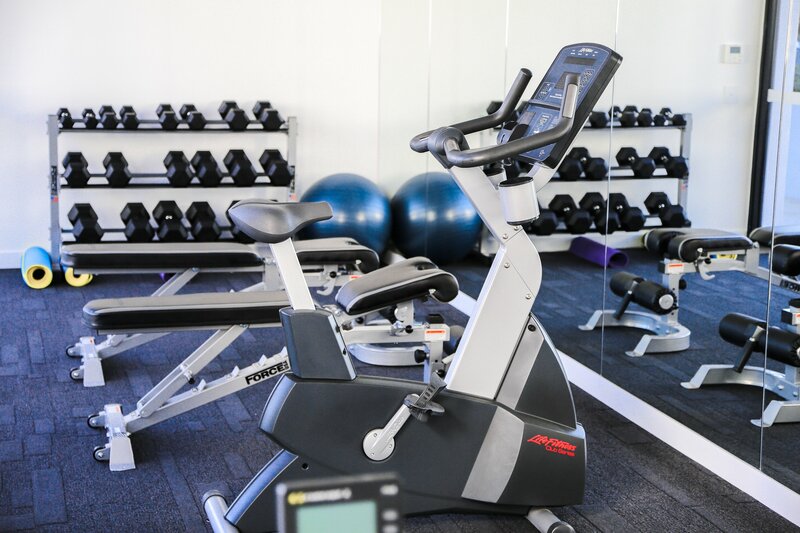 On the Southern Gold Coast for business The Hotel Studio is the perfect place to stay. Featuring a King Bed, ensuite, small sitting area, mini refrigerator, tea and coffee making facilities and a balcony with hinterland views. Our studios are perfect for the business traveller looking for a modern and comfortable room close to restaurants, cafes & the airport! Parking included. Our longer stays do not include Housekeeping Services. 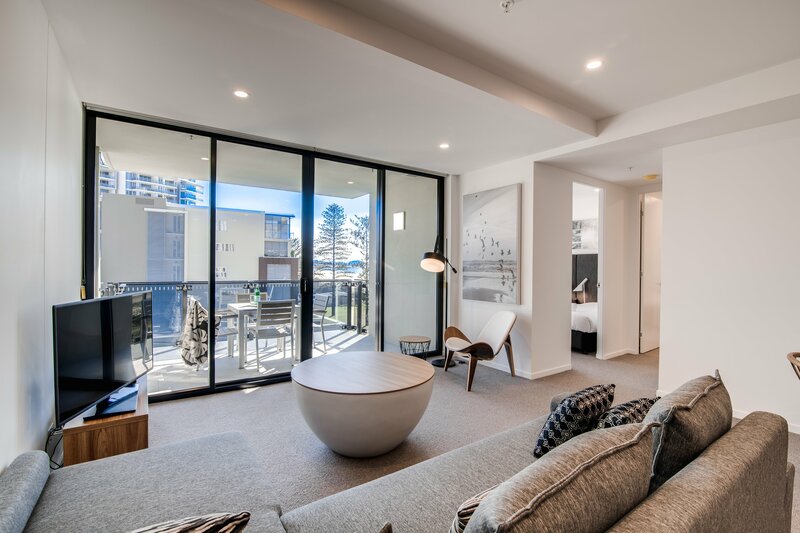 Take a break in one of our delightfully modern one bedroom apartments are fully self contained and feature uninterrupted coastal and ocean views. Each apartment offers one bedroom, one bathroom, air conditioning, fully equipped kitchen & laundry. Enjoy a luxurious King Bed. Twin beds are available (must advise at time of booking). These apartments offer superb ocean views from the kitchen, living area and balcony. 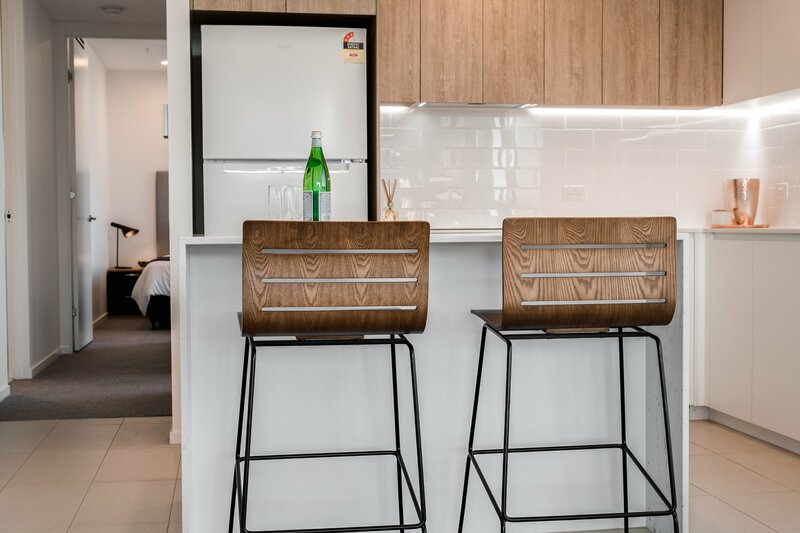 Take a break in one our delightfully modern one bedroom apartments are fully self contained and feature coastal and ocean views. Each apartment offers one bedroom, one bathroom, air conditioning, fully equipped kitchen & laundry. Enjoy a luxurious King Bed. Twin beds are available (must advise at time of booking). Relax and soak in the ocean view from your balcony. 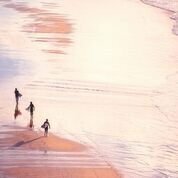 Need a reason to escape Our modern two bedroom ocean front apartments are ideal for those needing a well deserved holiday escape. These apartments are fully self contained with modern furnishings and feature uninterrupted coastal and ocean views. Each apartment offers two bedrooms, two bathrooms, air conditioning, fully equipped kitchen & laundry. Enjoy a luxurious King Bed (twin beds are available, please advise at time of booking), with twin beds in the second bedroom. Soak up the stunning ocean views from the kitchen, living area and private balcony. Need a reason to escape Our modern two bedroom ocean view apartments are the perfect spot for a beach holiday. These apartments are fully self contained with modern furnishings and feature ocean views. Each apartment offers two bedrooms, two bathrooms, air conditioning, fully equipped kitchen & laundry. Enjoy a luxurious King Bed (twin beds are available, please advise at time of booking), with twin beds in the second bedroom. Enjoy a glass of wine on your balcony while soaking up the gorgeous ocean view. 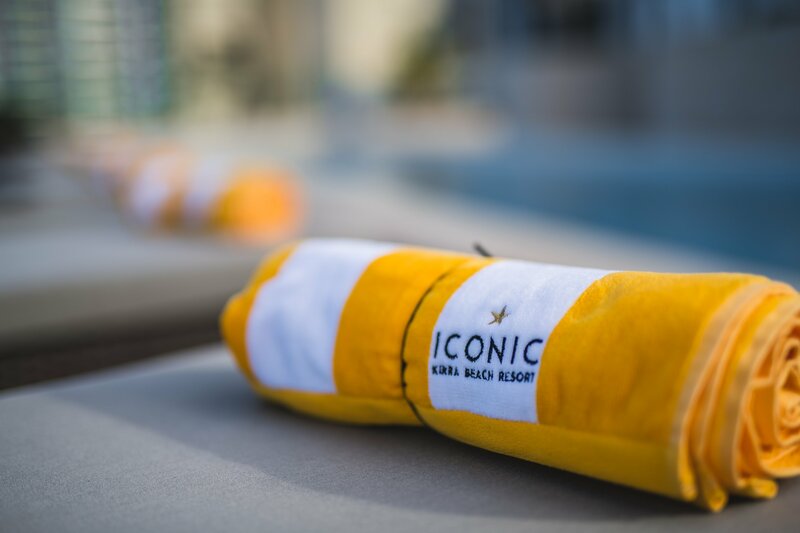 Escape for an iconic week of bliss! These apartments are simply breathtaking and offer a guaranteed high ocean view from the front of the building! Our delightfully modern one bedroom apartments are fully self contained and feature uninterrupted coastal and ocean views. Each apartment offers one bedroom, one bathroom, air conditioning, fully equipped kitchen & laundry. Enjoy a luxurious King Bed. Twin beds are available (must advise at time of booking). These apartments offer superb ocean views from the kitchen, living area and balcony. Enjoy a week of bliss with a guaranteed high view! These delightfully modern one bedroom apartments are fully self contained and feature coastal and ocean views. Each apartment offers one bedroom, one bathroom, air conditioning, fully equipped kitchen & laundry. Enjoy a luxurious King Bed. Twin beds are available (must advise at time of booking). Relax and soak in the ocean view from your balcony. 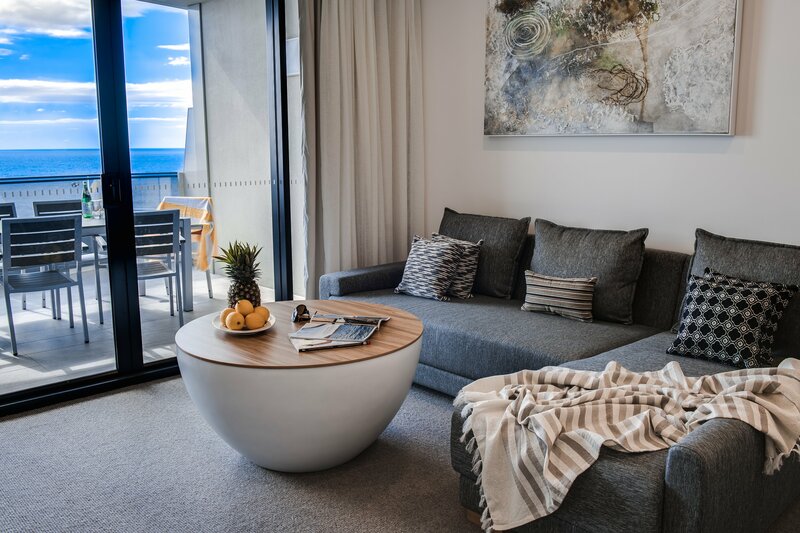 Ready for a week of bliss Our modern two bedroom ocean front apartments are ideal for those needing a well deserved holiday escape. These apartments are fully self contained with modern furnishings and feature uninterrupted coastal and ocean views. Each apartment offers two bedrooms, two bathrooms, air conditioning, fully equipped kitchen & laundry. Enjoy a luxurious King Bed (twin beds are available, please advise at time of booking), with twin beds in the second bedroom. Soak up the stunning ocean views from the kitchen, living area and private balcony. Enjoy a holiday with a guaranteed high ocean view! 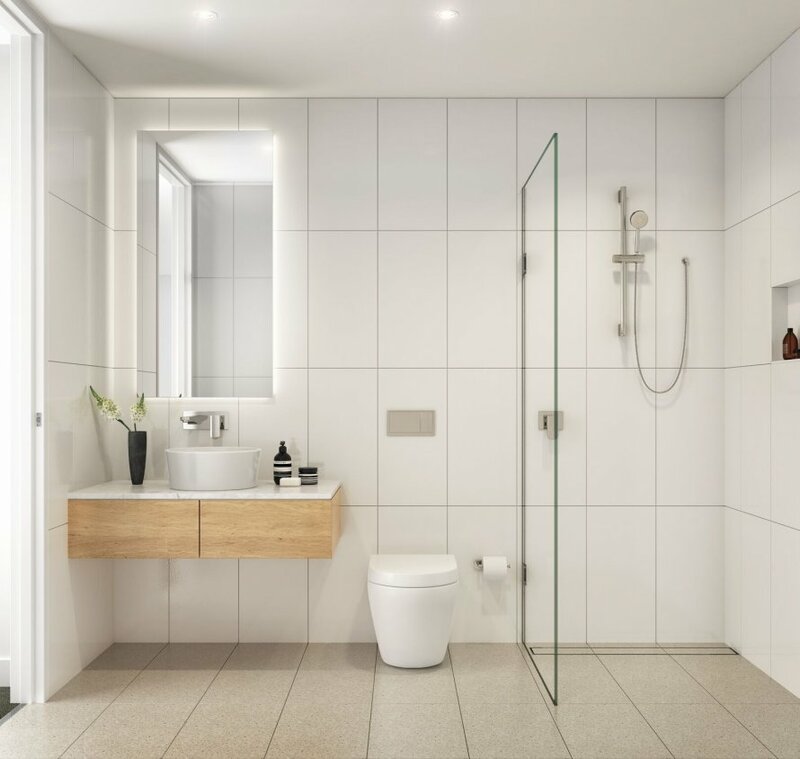 These modern two bedroom, two bathroom ocean front apartments are fully self contained with modern furnishings and feature uninterrupted coastal and ocean views at the front of the buidling. Each apartment offers two bedrooms, two bathrooms, air conditioning, fully equipped kitchen & laundry. Enjoy a luxurious King Bed, with twin beds (king bed available, please advise at time of booking) in the second bedroom. Soak up the stunning ocean views from the kitchen, living area and private balcony. 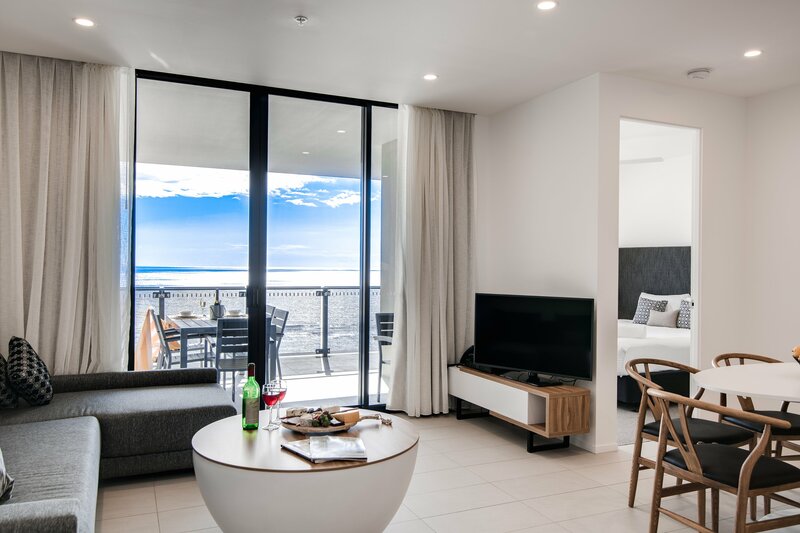 Ready for a week of beach bliss Our modern two bedroom ocean view apartments are the perfect spot for your beach escape. These apartments are fully self contained with modern furnishings and feature ocean views. Each apartment offers two bedrooms, two bathrooms, air conditioning, fully equipped kitchen & laundry. Enjoy a luxurious King Bed (twin beds are available, please advise at time of booking), with twin beds in the second bedroom. Enjoy a glass of wine on your balcony while soaking up the gorgeous ocean view. The PERFECT choice for a holiday! 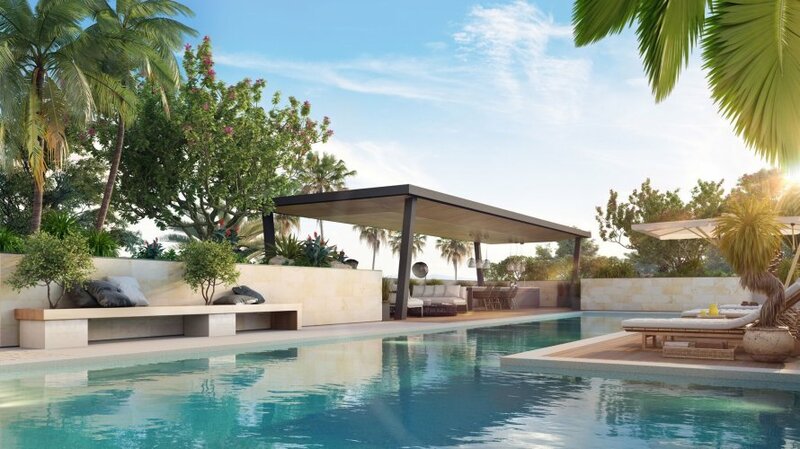 Our brand new luxury apartments combined with a guaranteed high ocean view will provide the ultimate escape. Our modern two bedroom ocean view apartments are the perfect place to getaway. These apartments are fully self contained with modern furnishings and feature ocean views. Each apartment offers two bedrooms, two bathrooms, air conditioning, fully equipped kitchen & laundry. Enjoy a luxurious King Bed , with twin beds in the second bedroom (King bed available, please advise at time of booking). Enjoy a glass of wine on your balcony while soaking up the view. Enjoy a week at the beach with the family! Our modern three bedroom ocean view apartments have everything you need for your family getaway. These apartments are fully self contained with modern furnishings and feature uninterrupted coastal and ocean views. Each apartment offers three bedrooms, two bathrooms, air conditioning, fully equipped kitchen & laundry. Enjoy luxurious King Beds in the master and second bedroom (twin beds are available, please advise at time of booking), with twin beds in the third bedroom. Soak up the stunning ocean views with your family or friends from the kitchen, living area and private balcony. Need a week away and a guaranteed high ocean front apartment This is the perfect choice for your family! Our modern three bedroom ocean view apartments have everything you need for your family getaway. These apartments are fully self contained with modern furnishings and feature uninterrupted coastal and ocean views. Each apartment offers three bedrooms, two bathrooms, air conditioning, fully equipped kitchen & laundry. Enjoy luxurious King Beds in the master and second bedroom (twin beds are available, please advise at time of booking), with twin beds in the third bedroom. Soak up the stunning ocean views with your family or friends from the kitchen, living area and private balcony. 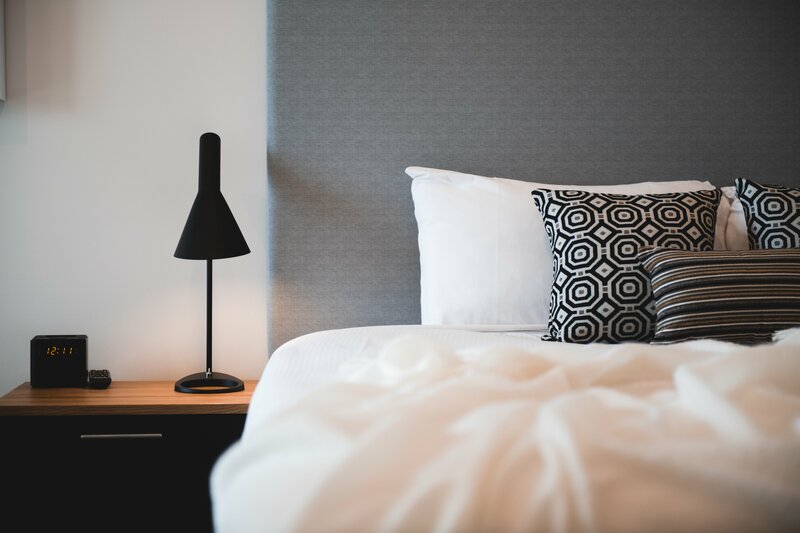 The Hotel Studio is the perfect place to stay for those needing a getaway without all the extras. Featuring a King Bed, ensuite, small sitting area, mini refrigerator, tea and coffee making facilities and a balcony with hinterland views. Our studios are perfect for the business traveller looking for a modern and comfortable room close to restaurants, cafes & the airport! Parking included. Our longer stays do not include Housekeeping Services. 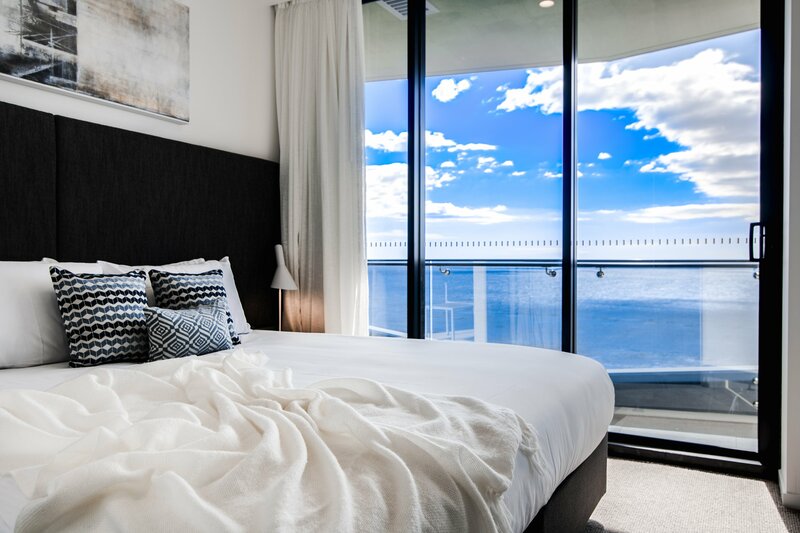 Escape for a week of bliss in one of our delightfully modern one bedroom apartments are fully self contained and feature uninterrupted coastal and ocean views. Each apartment offers one bedroom, one bathroom, air conditioning, fully equipped kitchen & laundry. Enjoy a luxurious King Bed. Twin beds are available (must advise at time of booking). These apartments offer superb ocean views from the kitchen, living area and balcony. Escape for a week of bliss in one of our modern one bedroom apartment, which are fully self contained and feature coastal and ocean views. Each apartment offers one bedroom, one bathroom, air conditioning, fully equipped kitchen & laundry. Enjoy a luxurious King Bed. Twin beds are available (must advise at time of booking). Relax and soak in the ocean view from your balcony. Our front desk is equipped to help you with any requirements so that you can keep working on your holiday. We offer many print, fax, scan, copy facilities. See one of our friendly staff to assist you. Check in time is 2pm. Our front desk is open until 5pm for you to check in. 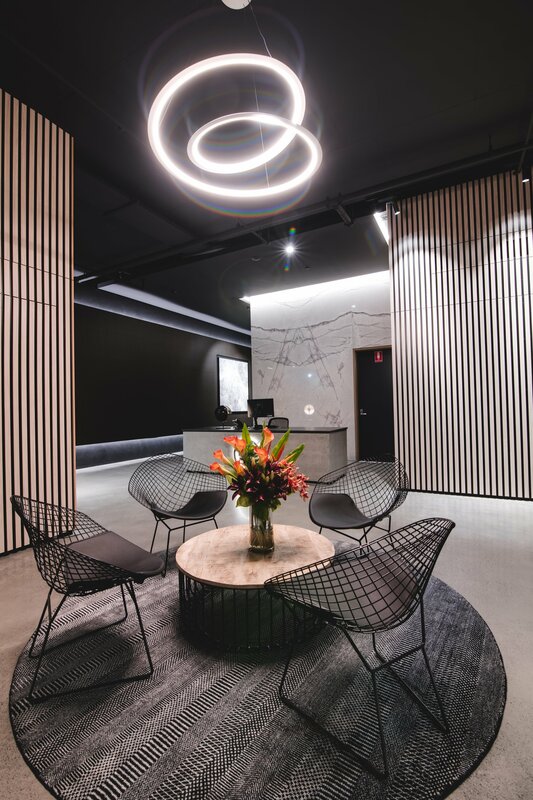 If you are plan to arrive after hours, we do advise you to contact reception the day prior to arrival so that we can give you further instructions. Children under 2 years old can use the bedding as provided without extra cost. We can provide a portacot for $15 per night if required. Extra guests are charged at $50 per night, which includes a rollaway bed and use of the resort facilities. Secure parking is available on site. We offer one complimentary car space per apartment. We are located only 2.6km from Gold Coast airport. A taxi or Uber can easily drop you at our front door. To catch public transport, Bus 760 leaves from the airport. If you are travelling by car from Gold Coast Airport (OOL), simply turn right onto the Gold Coast Highway and veer left onto Coolangatta Road and merge left onto Musgrave Street. At the roundabout take a right turn and we are located on the right at 76 Musgrave Street. If you are travelling by car from Brisbane, take the M1 South and take exit 95 towards Currumbin, Tugun & Coolangatta. Turn right onto Gold Coast Highway. 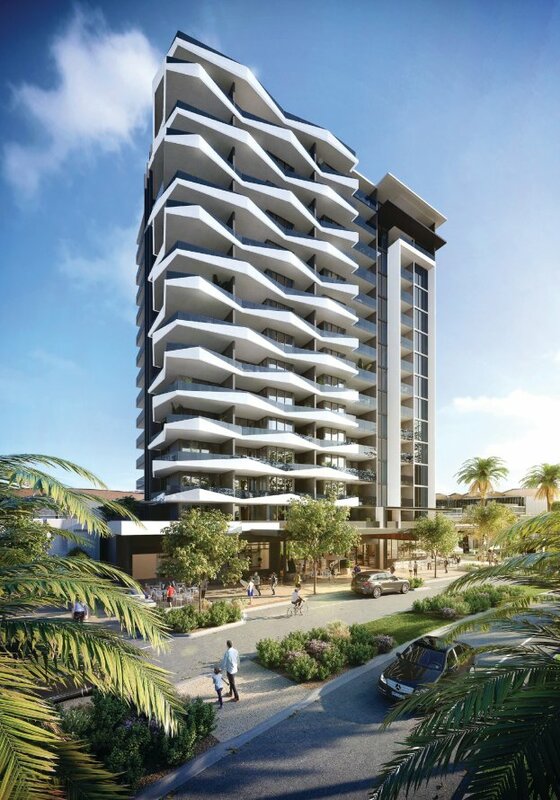 After you pass the airport, simply turn right onto the Gold Coast Highway and veer left onto Coolangatta Road and merge left onto Musgrave Street. At the roundabout take a right turn and we are located on the right at 76 Musgrave Street. 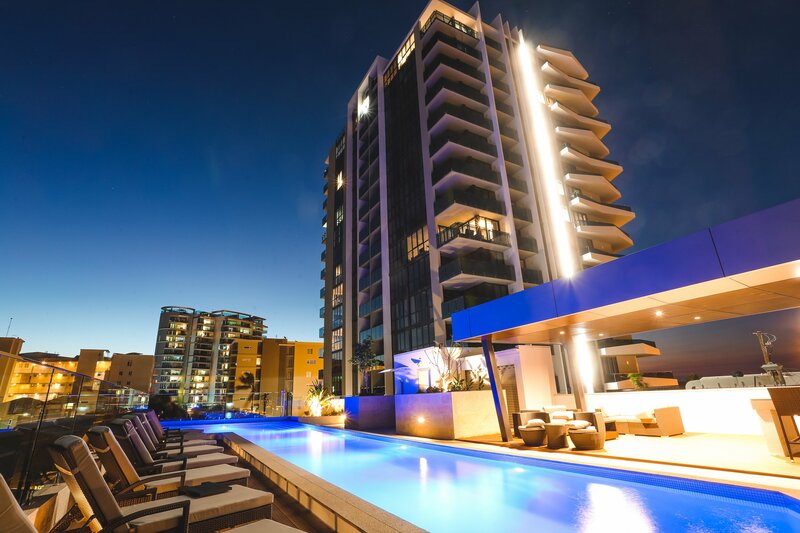 Iconic Kirra Beach Resort is ideally situated in the heart of the Southern Gold Coast. With world class surf breaks, tantalising cafes and restaurants, vibrant entertainment and events, adrenaline pumping theme parks, tranquil rainforests, spectacular waterfalls, bustling local markets and unique wonders of the increasingly popular Tweed Valley, we are perfectly located for day trips to both the Gold Coast hinterland and Northern New South Wales. 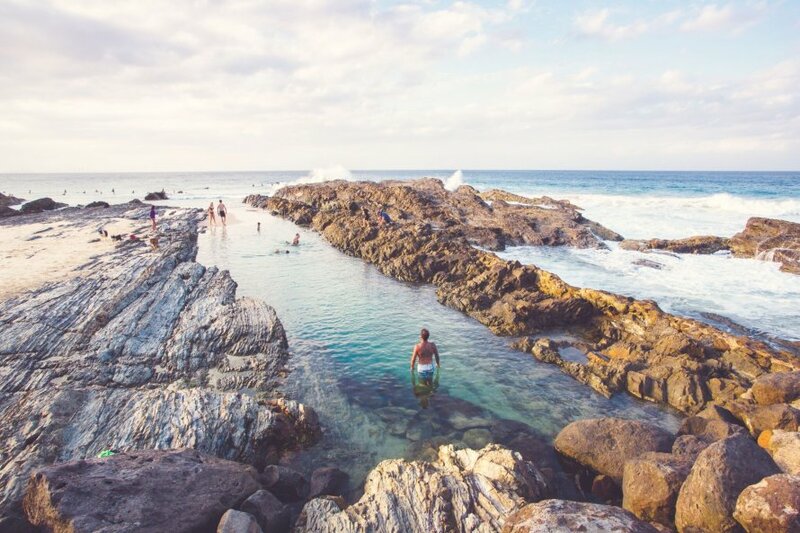 Byron Bay is less than 45 mins from our doorstep, and Brisbane is just over an hour away.